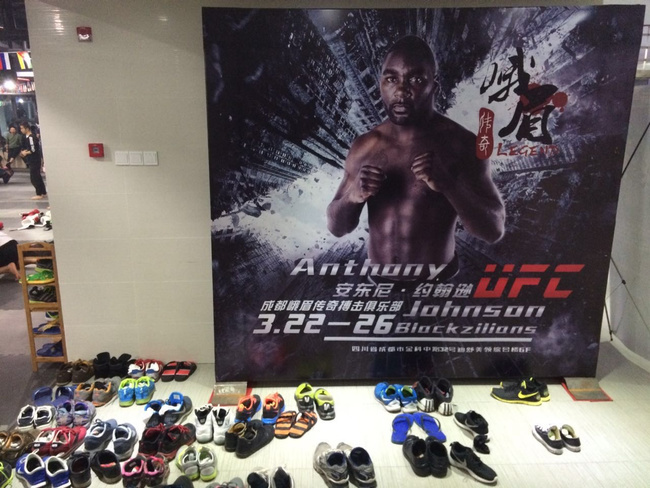 Rumble Johnson is far from home again, this time in the distant city of Chengdu, in southwest China. If that weren’t far enough, he’s also on the far northern outskirts of that city, in a schizophrenic district of sagging old buildings waiting to be demolished, newly paved four-lane boulevards waiting for the cars to come, and warehouses filled with veggies, pork and a brand new MMA gym. This is the second seminar tour the Blackzilians have organized in China, the first featuring Tyrone Spong teaching a bit of kickboxing to Li Jingliang, Jumabieke Tuerxun and members of the Big King gym in Beijing. The relationship began a few years ago when Blackzilians manager Glenn Robinson and Justin Chou watched a few China MMA matches and saw some potential. Justin reached out to a few gyms in Beijing and Spong volunteered to be the first to head out. Anything else about the city? 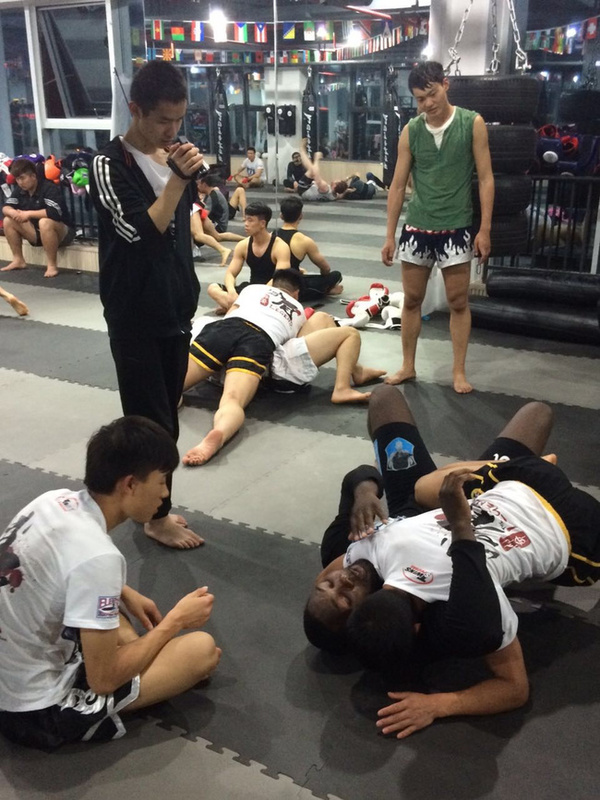 Rumble spent a week in Chengdu rolling and striking with fifty or so Chinese fighters. The Chinese fighters came in from all over the country for the seminar, flying in from Henan, Beijing, and other spots just to spend a few minutes sparring with Johnson. He was even recognized on the street, which is pretty amazing given the still underground state of MMA in China. 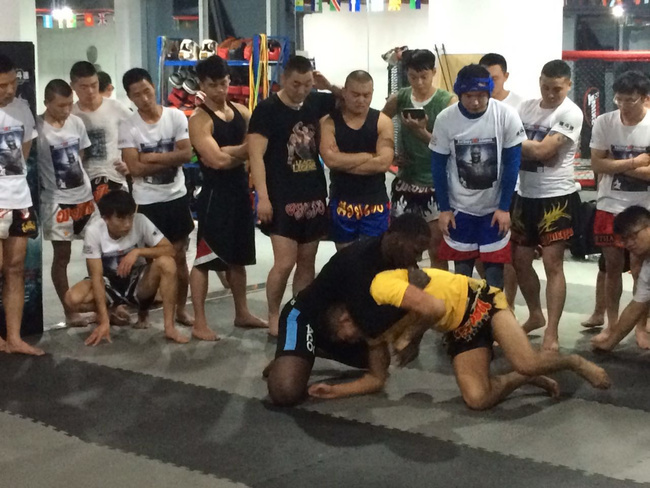 Seminars like the ones the Blackzilians held are critical to the growth of the sport in China. Competitors need to see the level of talent at the top in order to have the right goals and understand the amount of work it will take to get there. Having a tiny new gym like Emei Legend—a lot of machinery hadn’t even been installed yet—sponsor a trip out there shows the dedication Chinese managers and entrepreneurs have to promoting the business end of the sport. Things have really picked up in the China MMA scene since the TUF: China season two years ago. Gyms are popping up, events are held regionally every weekend, an adulterated version of MMA has made it onto the major television channels, and young people from the middle, people with choices in modern China, are choosing to train daily and fly out to Chengdu to roll around with Rumble Johnson. The training sessions went well, Rumble said. A few Chinese fighters tried to go hard against Rumble, trying for leglocks and chokes, but it was kind of like a group of kids trying to dunk on Lebron.